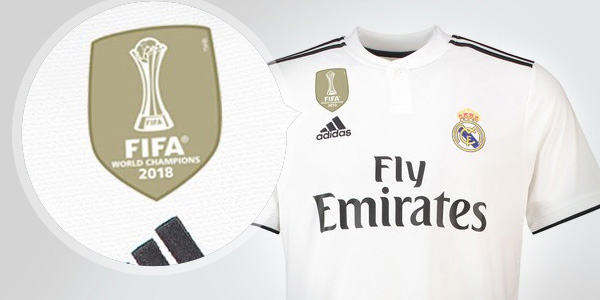 Real Madrid Authentic home jersey for the 2018/2019 season. Thanks to the use of ClimaChill technology the jersey is extremely light and deals effotlessly with humidity during physical exersize. 2. Replica (manufacturer code: DH3372). List price: 89.95 €. The version specially designed for fans. The emphasis is on endurance and comfort. The greater grammage of the material ensures a long life of the jersey, the standard cut provides comfort while wearing. In this version, the club badge and manufacturer logo are sewn on. The use of standard technologies such as ClimaLite make the jersey excellently protected from moisture.